A recent study by researchers from the University of Basel show that the bacteria responsible for causing the infectious disease tularemia use “nano-spearguns” to free themselves after being imprisoned by cells from the host’s immune system. 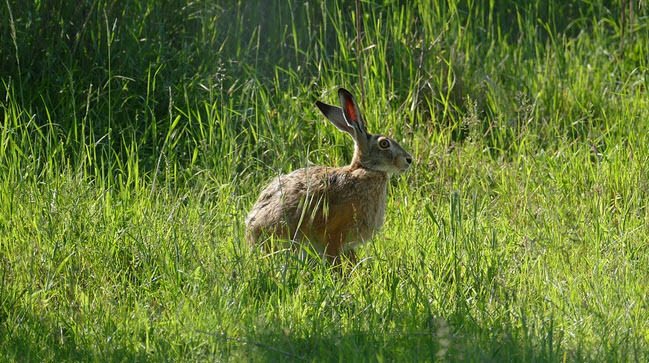 Tularemia is a highly infectious disease that chiefly affects rabbits and rodents, but can attack certain other mammals as well, including humans. It is caused by the bacterium Francisella tularensis and can spread to humans not just as an airborne infection but also through intermediary hosts such as bloodsucking ticks and fleas. Tularemia is a serious disease that can have a fatal outcome. Since F. tularensis can spread through the air, it could be used as a biological weapon. The high mortality rate for tularemia is connected to the bacterium’s ability to combat the hosts immune system. When a team of infection biologists – including Professor Marek Basler and Professor Petr Broz – studied a close relative of F. tularensis, they found that it used a “nano-speargun” to escape from the phagocytes sent out by the host’s immune system and that it could use components from a used speargun to assemble a new speargun. It is the type VI secretion system (T6SS) that works like a speargun for the bacterium. The phagocytes “ingest” the bacteria and enclose them in small vesicles before digesting them. To avoid this destiny, the bacteria in the study used T6SS to disrupt the digestive vesicles and escape. Interestingly, the bacterium was then capable of recycling its speargun.